Indonesian and Malaysian officials tried to push the UK government to lean on the supermarket Iceland after it announced it would cut palm oil from its own-brand products earlier this year. The retailer made the move on 10 April, citing concerns about rainforest destruction and environmental damage. The comments are included in emails released to Unearthed under the Freedom of Information act. The email was sent at a time when both countries – which produce about 90% of the world’s palm oil – were engaged in an intense lobbying effort in both the UK and Brussels, as EU decision-makers considered a proposal to phase out palm oil from biofuels. Emails between officials at the Foreign Office, Department for International Trade (DIT) and the Department for International Development (Dfid) from this spring suggest that diplomats had been urged by the Malaysian and Indonesian governments to intervene with Iceland over its opposition to palm oil. “[The Malaysians and Indonesians] need to recognise that Iceland is a private company; HMG [UK government] has not encouraged them to take this decision, but neither would it be appropriate for us to attempt to dissuade or criticise them,” wrote one Foreign Office official. The Foreign Office declined to comment on the record for this article. Unearthed reported in May that British officials wrote in emails the palm oil issue “has the potential to impact on bilateral trade, particularly defence sales” with Malaysia. Both governments threatened to retaliate against EU member states if the EU palm oil phase-out went ahead. In June, EU negotiators agreed a deal to phase out palm oil from transport fuels by 2030, nine years later than initially proposed. In public, officials in Indonesia and Malaysia have reacted angrily to Iceland’s campaigning on palm oil. Last month, the supermarket attracted international attention after its Christmas advertising campaign, Rang-tan, which was produced by Greenpeace, was banned from UK television for being too political. Teresa Kok, Malaysia’s primary industries minister, took the unusual step last week of celebrating the decision by UK regulator Clearcast to ban the advert. “We will not be cowed or stand by idly, when nasty advertisements by Iceland mislead people in markets that are crucial to us. We will fight back with facts from scientifically researched data,” she said. As of last month, Rang-tan had been watched over 30 million times on social media. The Times reported in April that Richard Walker, the managing director of Iceland, was attacked in a social media campaign funded by the Malaysian government and palm oil interests. Human Faces of Palm Oil, a self-described “advocate on behalf of Malaysian small farmers” dismissed Walker as “trust fund Richard” in videos posted online. The Times later reported that two western lobbyists with links to pro-Brexit campaigns and big oil were behind the campaign. 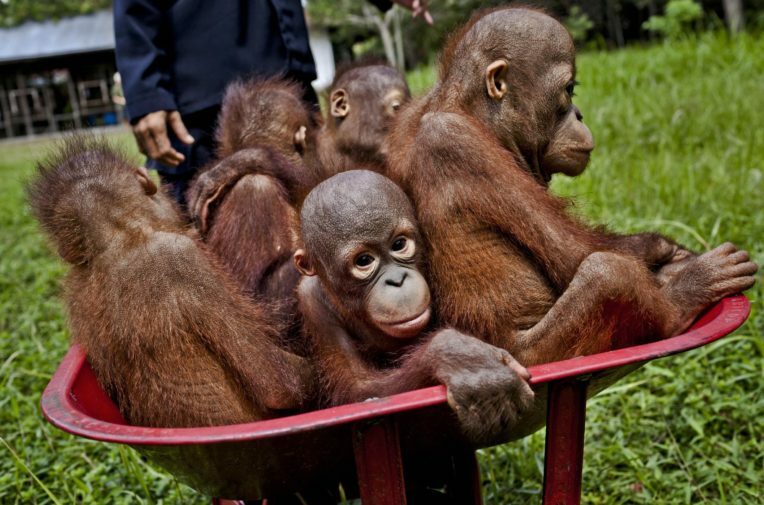 The Indonesian government told Unearthed that it is in dialogue with the UK government and Iceland on palm oil.